I've kept the best for last! Well sort of. 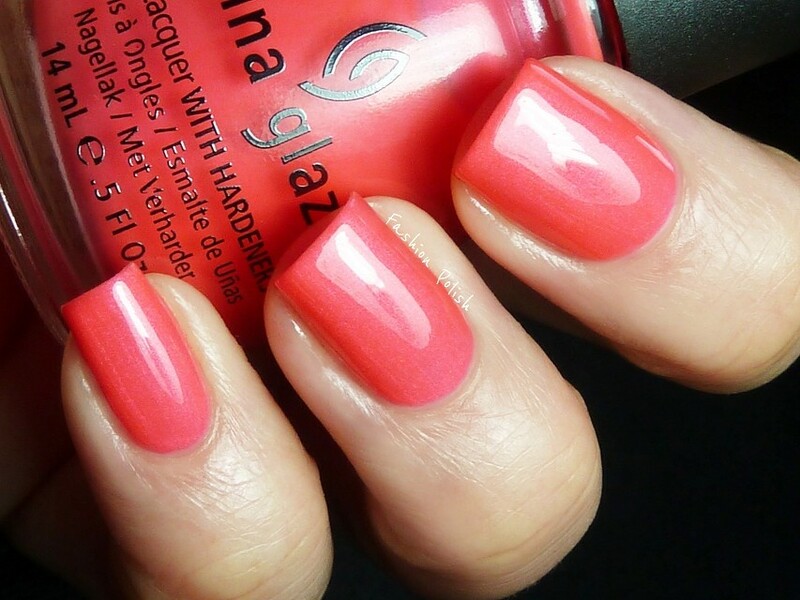 The part II of the China Glaze Summer Neons is all about pinks and corals, a.k.a. probably the most popular neons out there. If you've missed on Part I, just follow this link. Hang-Ten Toes really is one amazing blue based neon pink! With a cool shimmer! I think you're going to hear me say this a lot today but I absolutely love it. It was a dream to apply, perfect consistency, almost jelly-like and a complete 2 coat coverage. I mean look at it! Love's a Beach. Can I say I just love the name! This is very different from Hang-Ten Toes, much warmer and a tad darker too. I honestly couldn't say which one I like better, probably the one I'd be wearing at the time LOL. It has the exact same flawless formula and dreamy application. Pink Plumeria takes us to coral territory. If such a thing as a pastel neon could exist, that would be it! Such a gorgeous coral pink and such a beautiful gold shimmer. It really brings life to the base color. Again, same consistency and a wonderful 2 coat coverage. Flirty Tankini is in the same color range as Pink Plumeria only darker and more profound. Again, if I had to pick a favorite, I'd have a really hard time doing it. Nothing much to say about formula either, same dreamy application and 2 coat coverage. Surfin' for Boys is less pink and more coral than the others, much more neon too. It's actually on the orange side of coral and has a very beautiful pink shimmer that definitely sets it apart. If you're looking for a much more saturated color, that would be it! Formula was different too, a bit thicker but easy to work with. 2 coats here. I don't think I could express just how much I love this collection. This new take on neons, with shimmer, definitely sets them apart from previous collections. I'm sure that the shimmer particles contribute to the high quality formula but it also adds a whole new dimension to the polish. And such a beautiful shine in the light, perfect for the upcoming sunny days. In conclusion, I'll just say that, in my honest opinion, they'll be worth every penny you spend on them. 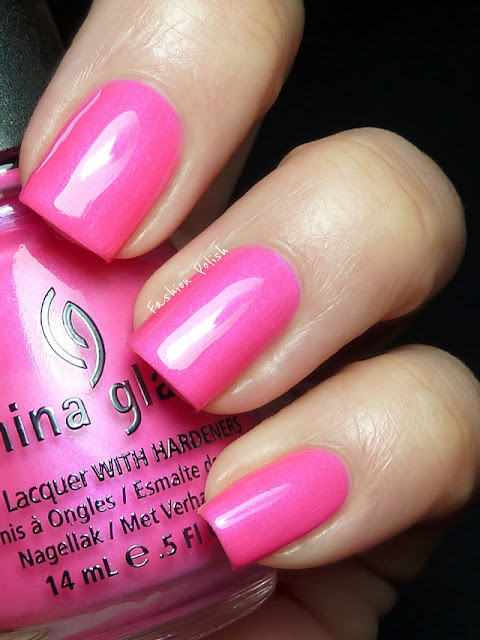 ChinaGlaze is free of DBP, toluene, and added formaldehyde. 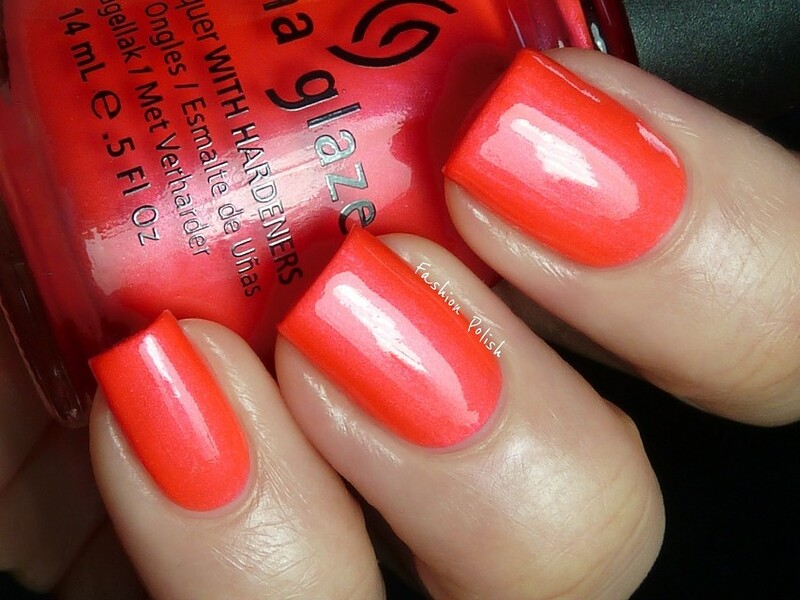 China Glaze naillacquers are available through salons and professional beauty supply storesnationwide. For more information, visit: www.chinaglaze.com. ChinaGlaze® Summer Neons will be available at fine salons and beauty supply stores nationwide in June 2012. Oh these are beautiful. You polish so perfectly! i really like the Pink Plumeria--perfect shade between coral & apricot!! 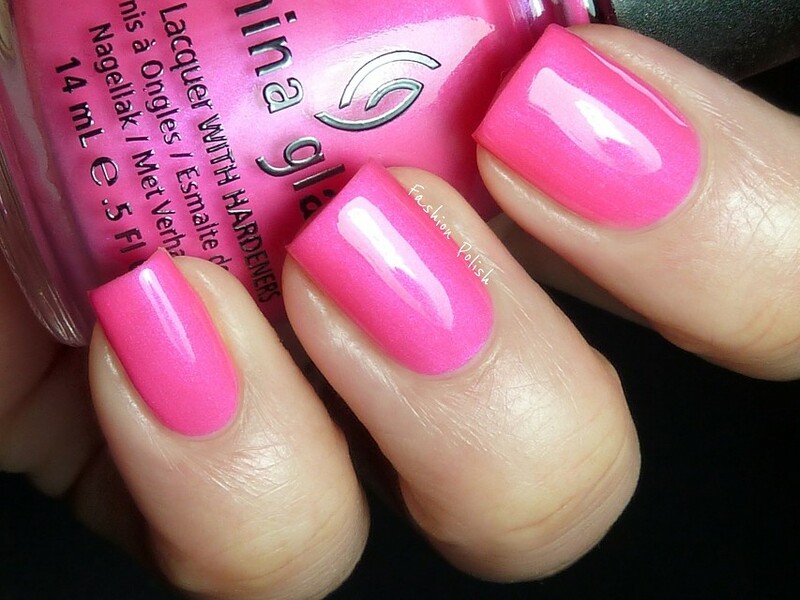 i really like this but they arent like "neon" like you would think but they're very bright! Love these. You are right, the shimmer is stunning and makes these definite must haves. Lemmings for sure :) I love that you did comparisons, you can see how close the colors are but it also showcases their differences. Love. Omg, China Glaze has got me excited about something again! I LOVE every single one of these! AMAZEBALLS! I love all pinks! And I wish my nails looked like yours! Amazing! I kinda hate China Glaze for making me want every single polish in this collection! They are all so beautiful, bright and summery! And, your beautiful swatches are making me rationalize buying them all! Your blog is on my blog roll, so that I never miss new swatches from you! When I saw the collection I thought that is was just more pinks and neons, without any difference of what we have already in the market, but China Glaze can always surprise us. The colors and effects... they are amazing! Pink plumeria is my favourite! These are gorgeous! I really love the pinks! Mmmm gorgeous colours, I need 'Flirty Tankini' in my life. Oh my goodness in love with Pink Plumeria and Love's a beach! I'm loving saturated blue based pinks this season. All gorgeous, but i love Pink Plumeria most!